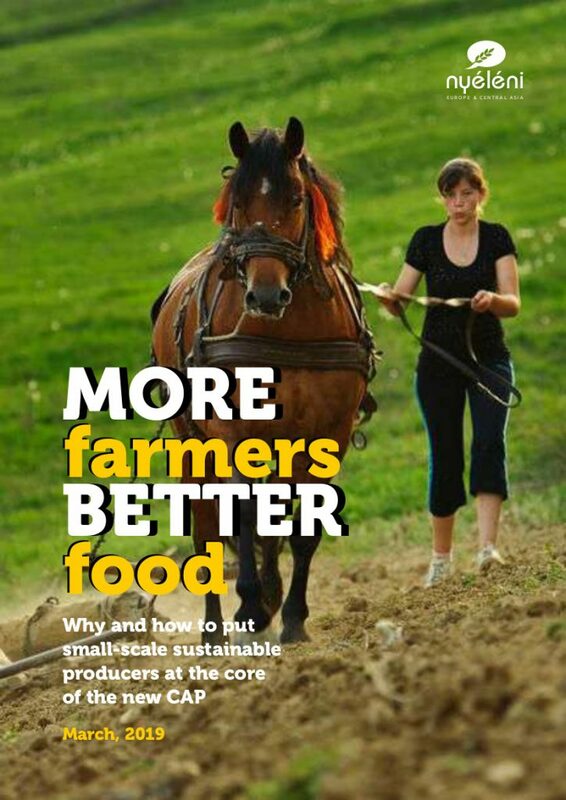 Brussels, 25 March 2019 – Sustainable small farmers should be put at the core of EU agricultural policy, according to a new paper released today by the Nyeleni Europe and Central Asia Platform for Food Sovereignty. The report comes ahead of a key vote in the European Parliament’s Agriculture Committee in early April, and represents the position of a pan-European coalition of farmers, peasants, pastoralists, fisherfolk, Indigenous Peoples and environmental organizations in regards to the EU’s Common Agricultural Policy (CAP). Between 2005 and 2016, the number of farm holdings under 50 hectares fell by 29.4%. Over 4 million holdings disappeared in just 10 years. Increased numbers of seasonal, and often migrant workers suffer appalling working and living conditions. Pollution linked to agrochemicals continues to have a negative impact on public health – chemical residues are found in food, nitrate and phosphorus run-off pollutes water and soil. High levels of antibiotic use in animal farming leads to antimicrobial resistance. Around 88 million tons of food waste is generated per year, as a result of the industrial food chain. “This report also shows the environmental and social benefits of new, local partnerships between producers and consumers. It comes right in time to show that a new social contract between food producers and the societies they feed is highly awaited and urgently needed”, says Judith Hitchman from URGENCI, the international network of Community Supported Agriculture movements. The presentation of the paper also takes places as ECVC celebrates its General Assembly (24-26 March) in Brussels, its annual gathering of peasants delegates from 17 European countries – bringing together 27 small scale sustainable farmers organisations.